Reconstruction of the Pálóci tombstone - Pazirik Informatikai Kft. | Pazirik Informatikai Kft. The red lime stone fragment from Tardos is supposedly a piece of the chest part on a chivalric tombstone, which has been unearthed on the castle island of Szolnok. 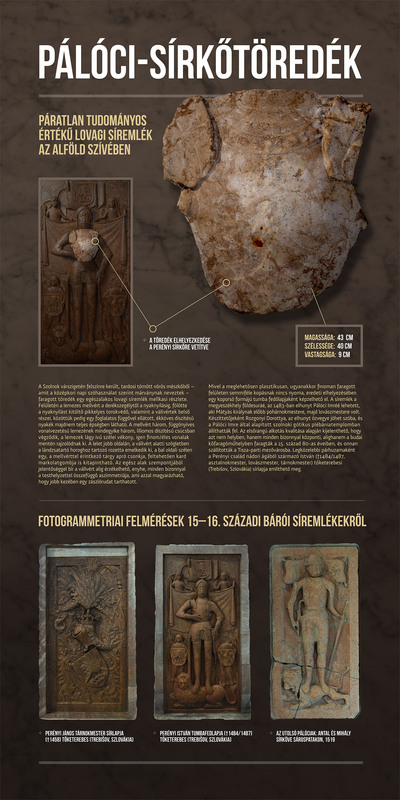 We have created the photogrammetric survey of the tombstone fragment for Róbert Kertész, and also the surveys of the tombstones of Sárospatak and Tőketerebes in Slovakia – as the closest analogies of the fragment.